For orders outside the continental United States please call 480-503-3801. Penta head bolts made of alloy zinc. The Penta-Bolt™ is the staple of ground lid and manhole cover security, and is typically specified for these applications. It requires a special pentagon socket which is not found in retail stores. Unfortunately toolboxes are equipped to remove Penta-Bolt™ fasteners with common items such as locking pliers. Most notably, copper thieves are easily removing these fasteners. 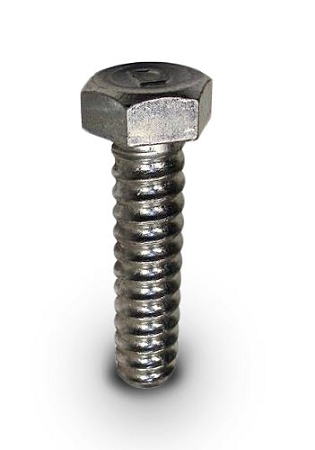 Penta-Bolt™ fasteners protecting copper should be replaced with something more secure. The savings in loss prevention can be significant.